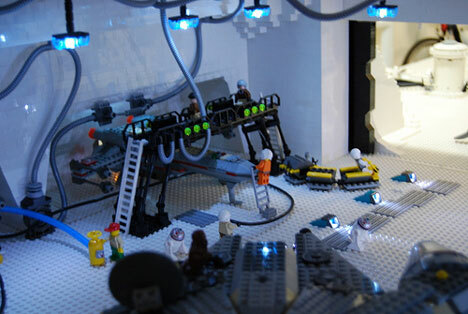 If you still think LEGOs are just for kids, you obviously haven’t seen the new generation of LEGO artists. They create amazingly detailed sculptures with the little plastic blocks that rival any sculpture made with more traditional materials. 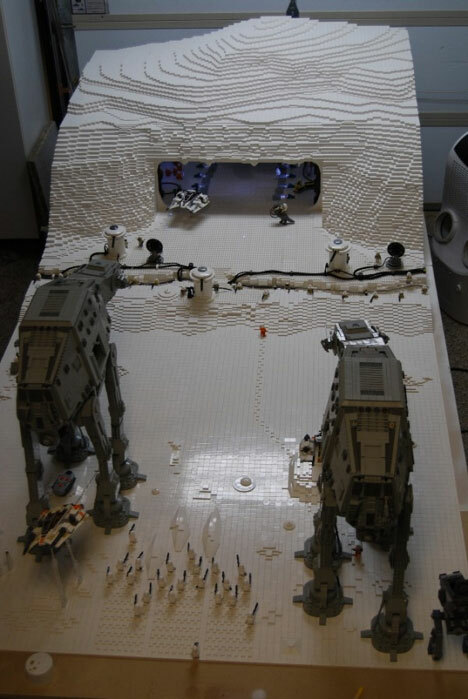 This epic depiction of the battle at Hoth from Empire Strikes Back is easily one of the most fantastically geeky LEGO creations ever. Built by the talented Mark Borlase, the sculpture depicts an unforgettable scene with an incredible amount of detail. Mark included Luke’s footprints in the snow and windows in the side of the mountain looking into the base. The whole creation took more than four years and $3000 to bring into reality. 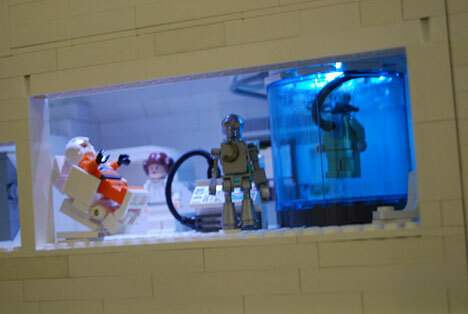 It won a Star Wars building challenge (and rightly so) and was featured in LEGO Magazine. 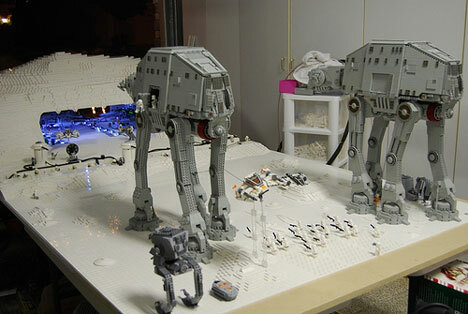 Mark’s creation measures an astonishing five feet by 10 feet, contains almost 60,000 pieces and has some truly awesome features: 50 working lights, opening hangar doors and a remote-controlled fleet of troops that emerges from the AT-ATs. See more pictures of the geekalicious sculpture at Mark’s Flickr page. See more in Science Fiction or under Science. December, 2010.